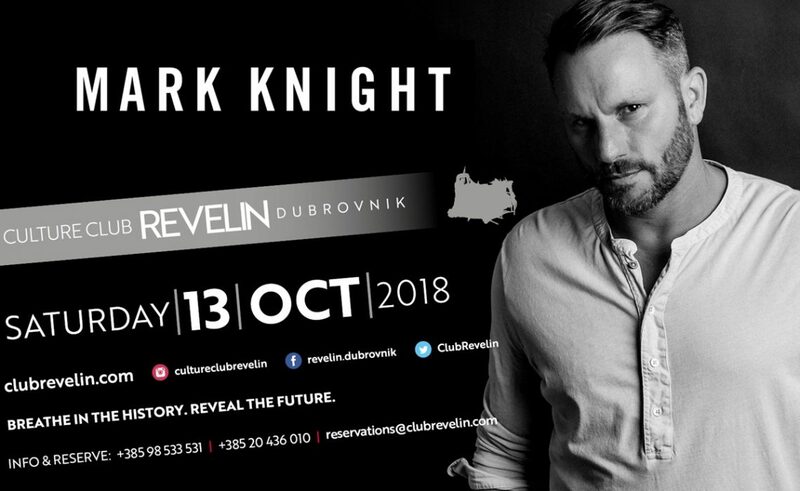 Mark Knight, one of the world’s most successful producers and DJ’s, will perform this Saturday, October 13th @ Culture Club Revelin. This is not Mark’s first visit to Dubrovnik, and the gates open at 11 pm for everyone who wants to party. This worldwide known DJ enjoyed a career which has not seen him leave DJ Mag’s Top 100 DJ list in the last decade. As a producer, Knight has built a reputation with hits such as Man With The Red Face (feat. Funkagenda) Downpipe (feat Underworld), Beautiful World (feat. Tiesto) and Nothing Matters (feat. Skin) and his work on . He was nominated for his work on Black Eyed Peas platinum album ‘The-End’, which is among the three best-selling albums on Beatport’s ‘Best Sellers List’. His also enjoyed success with his mix of Florence & The Machine’s “You’ve Got The Love”. Armed with a musical library that knows no boundaries, a consistent run of hits and chart-topping ventures alike, the success of Knight’s recording career is matched only by the credibility and integrity maintained throughout his discography to date. Heard through a spread of anthems (‘Man With The Red Face,’ ‘Alright’, ‘Downpipe’) along with producing bands such as Faithless and Underworld has sealed a diverse musical heritage for the accomplished producer. It’s music for passion, not numbers, and it’s what Mark Knight does best.